Um, another neighborhood? I think not. 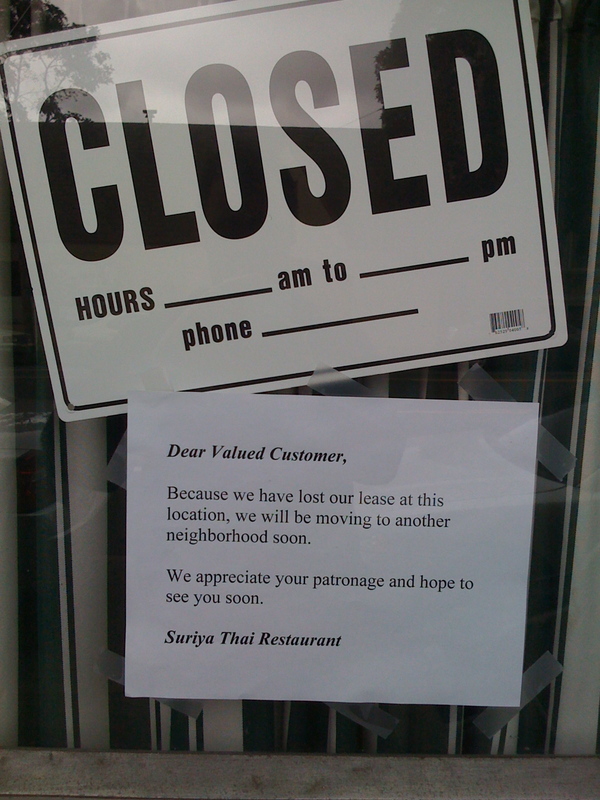 We need you back here in La Lengua, oh Suriya Thai. Hey, I know, move into the Burger King at Valencia and Mission! Or Groger’s Western Store.